Wordpress Poster is used to automatically post content to any category of your Wordpress blog. 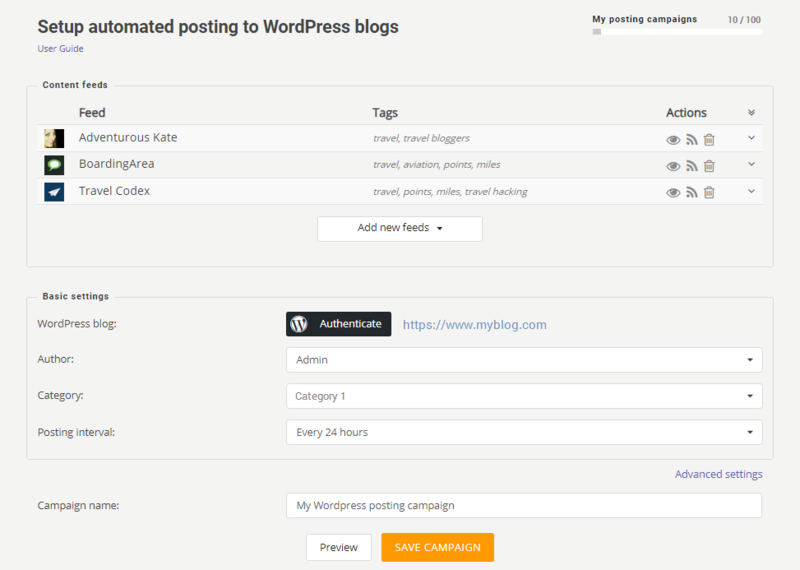 To start making automated posts you need to set up a Wordpress posting campaign. To be able to create a Wordpress posting campaign you need to sign up for any of RSS Ground membership plans. You can have one or several posting campaigns running simultaneously depending on your membership level limits. Watch our quick user guide on how to create a posting campaign. You start creating your posting campaign by adding content feeds. You can add them from Feeds Box, or directly from any of the content feeds generators, or manually using "Add new feeds > Import feeds" option. Note: all feeds you manually add to your posting campaigns are automatically added to your Feeds Box. Such feeds are considered "public feeds" and are subject to appropriate account limits. As soon as content feeds are added you start your campaign setup. You have two types of settings: Basic and Advanced. Only Basic settings are mandatory. First thing you have to do in Basic settings is to Authenticate your blog. 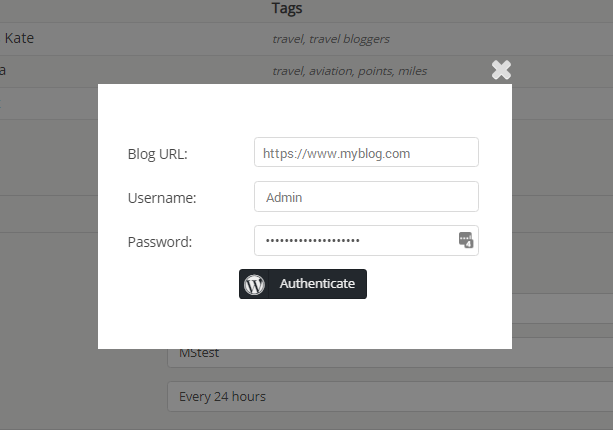 Press "Authenticate" button and enter your blog URL, blog administrator's login and password. As soon as your Wordpress blog is authenticated you will see blog's URL next to "Authenticate" button. Below, you will be able to select an Author who will be making posts. Only administrators and blog editors can make remote posts, so make sure that blog user you select has the corresponding rights. 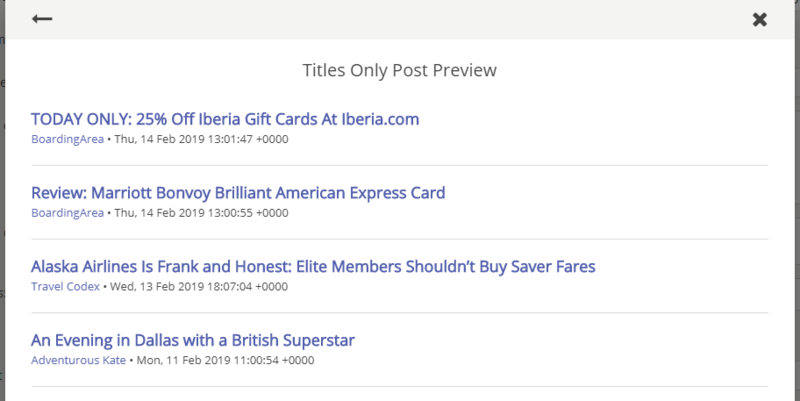 Also, you will be able to select a blog Category to make posts to. And you can select one or several of them. Similar posts will be simultaneously made to specified categories. Finally, in Basic settings, you set Posting interval - how often you wish to make posts. The minimum interval depends on your membership level: from once in "every 24 hours" for Basic level, to "every 30 minutes" for Business level. If basic settings are enough for you, name your campaign and save it. 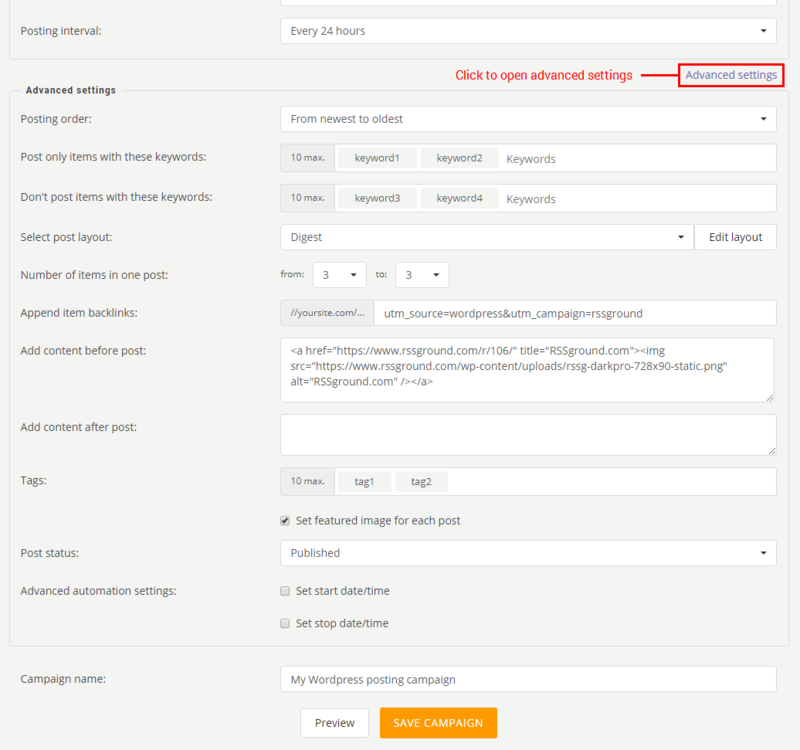 All your Wordpress posting campaigns are saved in "Posting Campaigns" section of MY ACCOUNT. See our other user tutorial on how to manage your created posting campaigns. Advanced settings are optional and can be used by default. Find "Advanced settings" link below Basic settings section. Posting order - here you set the order in which content from your specified feeds will be processed and selected for posting. Only new - only most recent (or newly added after the previous campaign run) content will be posted. From newest to oldest - first, most recent content will be posted, and if there is no newly added content, most fresh but not yet posted content from the feeds will be posted. From oldest to newest - content will be posted starting from the oldest. Random - a random content from specified feeds will be posted will be chosen for posting. If you wish to post only the most recent content you are recommended to use "Only new" option. If you wish to ensure the gradual update of your blog, you are recommended to use "From newest to oldest" option. If you make posts from content feeds where timestamp does not matter, for example, product feeds or affiliate feeds, you may use "Random" option. Note: no matter what option was used in "Posting order", duplicate content will never be used for posting. Post only items with these keywords - specify one or several filter keywords. Only content which mentions at least one of the specified keywords in its title or description will be posted. Up to 10 keywords are allowed. Don't post items with these keywords - specify one or several filter keywords. Content which mentions at least one of the specified keywords in its title or description will be excluded from posting. Up to 10 keywords are allowed. 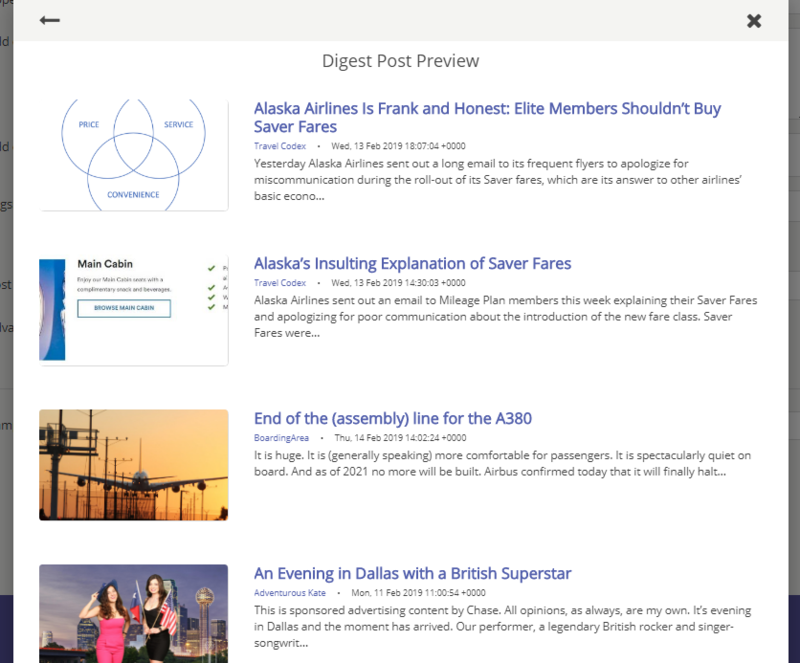 Select post layout - we offer three default layouts for your Wordpress posts. Use Preview option to make sure how it looks. Digest - show a list of items (news, articles, etc.) with titles, descriptions and image thumbnails in the post. You can set a random number of items in one post when using "Titles only" or "Digest" layouts, where 3-3 means always include 3 items in one post, and 3-5 means include randomly from 3 to 5 items. Full single item - post one item at a time and include all available content in the post. 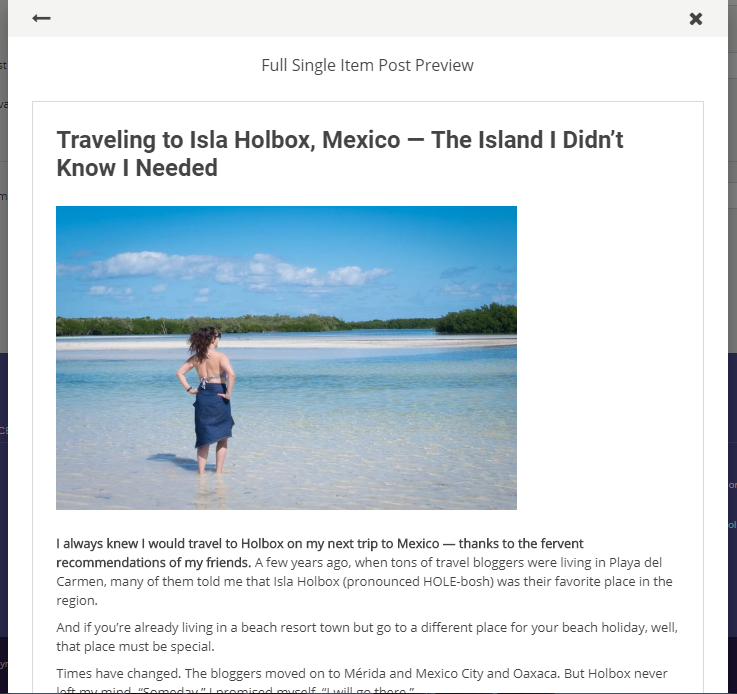 Edit layout - you can edit HTML code or CSS for each post layout. See our instructions on how you do that. Remove item backlink – when you use Full single item post layout we add a backlink to the original content at the bottom of the post. This is an authorship courtesy element and we recommend keeping it in the post to avoid copyright issues. However, if you are sure about the right to reuse this content or in case you republish your own content, you can check-mark this option to deactivate backlinking. You can append not only link parameters, but also link fragments. If you add a fragment ( #your_fragment), make sure you enter it with hashtag symbol (#), otherwise, it will be counted as a parameter (&your_fragment). Read more about query strings and fragments. For Full single item post layout, this option will be available only if Remove item backlink option is unchecked. Tags – you can specify up to 10 tags, which will be added to each post. Same tags will be added to all posts made by this campaign. Set featured image for each post – when checked, will use the first image from the content (no matter what post layout is used) and set it as post's featured image. NO ADDITIONAL WORDPRESS PLUGINS NEEDED!!! Post status – you can make your posts visible at once or after your approval by choosing a post status, published or draft, or else. Start time/date - you can set a delayed start of your campaign. Stop time/date - you can set a date to automatically stop your campaign. Don't forget to name your posting campaign, otherwise, it will have a default generic name.